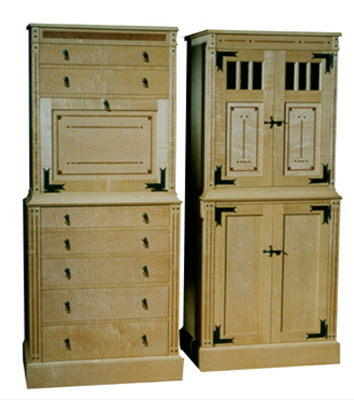 Two different cabinets inspired by the work of British architect C.R. Ashbee, circa 1904. Hand forged hardware by Morrell Metalsmiths, quilted maple, ebony and cherry.